JOHN “Bomber” Brown has urged fans to get down to the Falkirk Stadium this Sunday to support a benefit match in aid of his former teammate David Hagen. The Rangers Development Squad are taking on a mixed Hearts and Falkirk XI, David played for all three clubs and was sadly diagnosed with Motor Nurone Disease earlier this year. David and his family will be in attendance at the match which has been organised to raise funds for his continued care and support. Bomber Brown said: “Alex Totten phoned me to break the news about Davie and I said I would put him in touch with the club and Stewart Robertson. 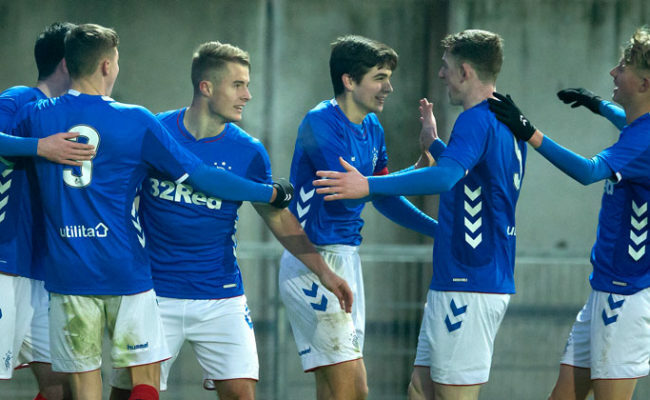 From there a game has been organised with Graeme Murty’s reserves to go on Sunday. 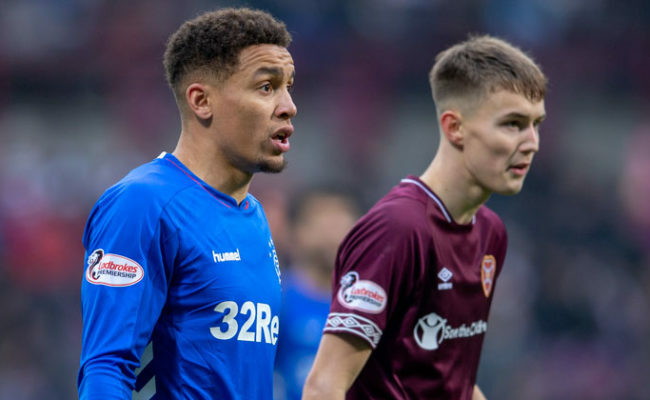 “I think the idea was to try and find a date that wouldn’t clash with the first-team’s fixtures but the game at Hamilton was moved for TV purposes. “It will be a great occasion and it is needed for Davie, he has got children and he has had this diagnosis. “I think there will be a great turnout from Hearts and Falkirk fans on Sunday. I know Rangers have a game on Sunday too but it will be on after that. David, who is 45-years-old, came through the ranks at Rangers before breaking into the first-team. He went on to sign for Hearts and from there made over 100 appearances for Falkirk. Bomber continued: “I met him a couple of weeks ago at a function at Ibrox and he was in great spirits, he is just getting on with it. He knows it is a tough one to take but he was smiling and we had a good laugh. “We caught up and looked back at some crazy moments in our playing days. I managed to play with Davie as a young lad coming through, through our nine-in-a-row period. “He was a cracking lad, a good footballer and he came into a Rangers side which was flying at the time. It made it a lot easier for a young boy to come in and play. “He was in the squad for a Celtic game and we were staying in a hotel in town and at 2am he was bored and set the fire alarm off! We didn’t get much sleep but we still managed to beat Celtic on the Saturday. “He has always been a great lad, he probably never played as many games as he would have liked to but Rangers had an exceptional side at the time.